Author, Lecturer and Master Birder Harry Fuller and I discuss the life of Sandhill Cranes and Whooping Cranes, where to find them and where to photograph them. From Alaska to New Mexico, Sandhill Cranes are widely distributed seasonally. 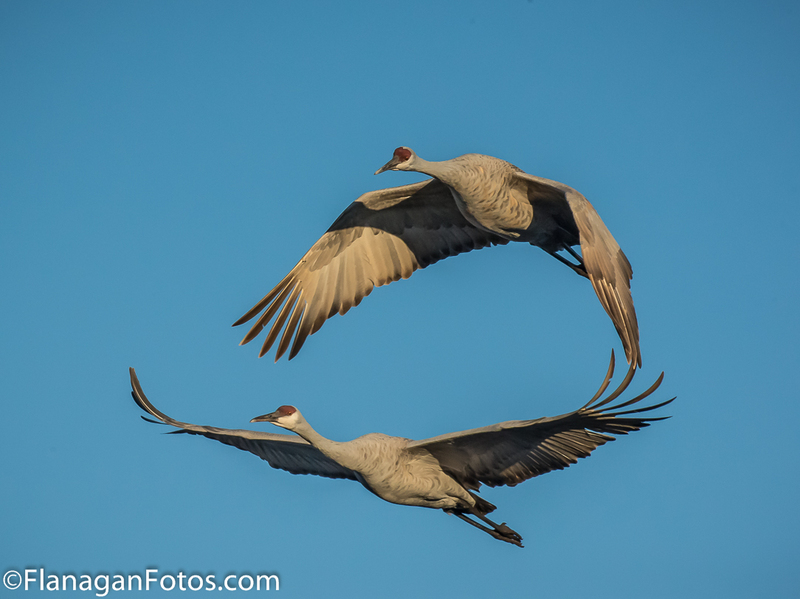 We discuss their biology, their migration patterns and prime locations to see and photograph them like the Platte River near Kearney, Nebraska and Bosque del Apache near Socorro, New Mexico. Finally, we discuss some of the beautiful international cranes located in Africa and Japan. Please join us for a wide ranging discussion of some of the most iconic birds in North America. Thanks for listening! These podcasts are published on the 15th and 30th of each month and can be found at www.flanaganfotos.com or on iTunes at Photographing the West.